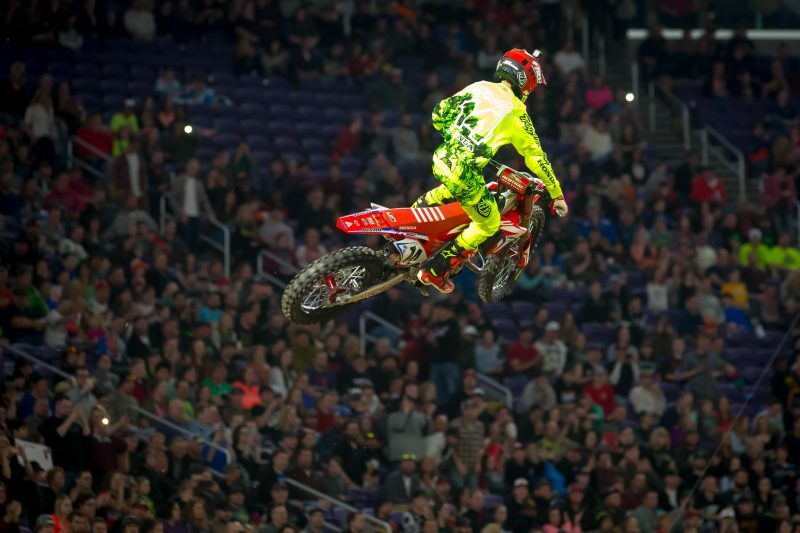 Although Team Honda HRC had its sights set on another podium finish for AMA Supercross’ return to Minneapolis, Minnesota after a three-year hiatus, the crew was relatively pleased with Cole Seely finishing in fifth despite a mishap early in the main event. 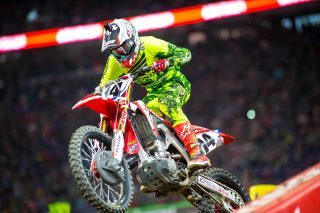 When the gate dropped, Seely edged out the competition, scoring the holeshot and taking the early lead. 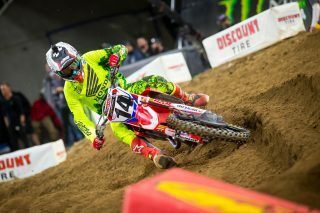 Before the completion of the opening lap, however, Seely tucked the front end in a turn causing him to go down. Sitting in 10th, Seely put his head down and began maneuvering through the field, eventually taking the checkered in fifth, respectively. After being slightly off the pace during the day’s first qualifying session, Seely rebounded in the second practice to secure the fourth-fastest lap time at 48.227. The competition is extremely close though, with only .88 seconds separating second place through 13th. Slotted in heat 1, Seely got off the line to a mid-pack start but tangled with another rider in turn two, going down and sending him to the back of the pack. 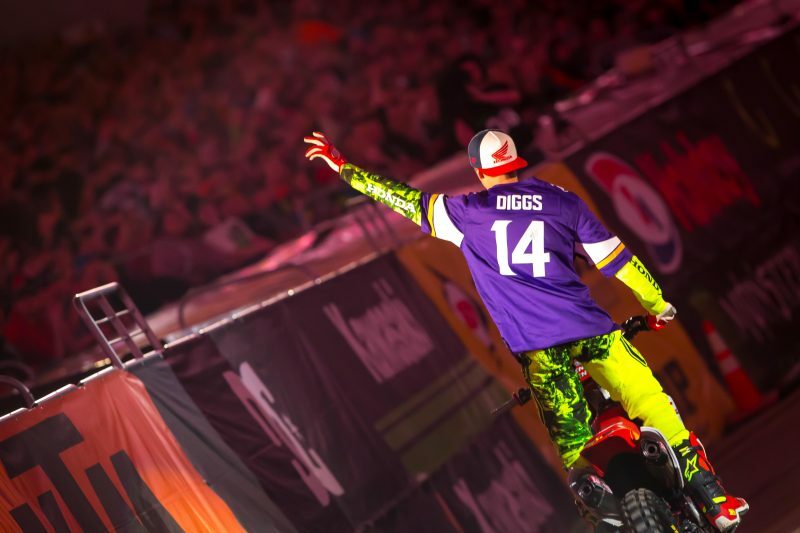 He remounted his CRF450R and began his charge forward, ultimately taking the checkered in ninth, forcing him to transfer to the main event via the semi. 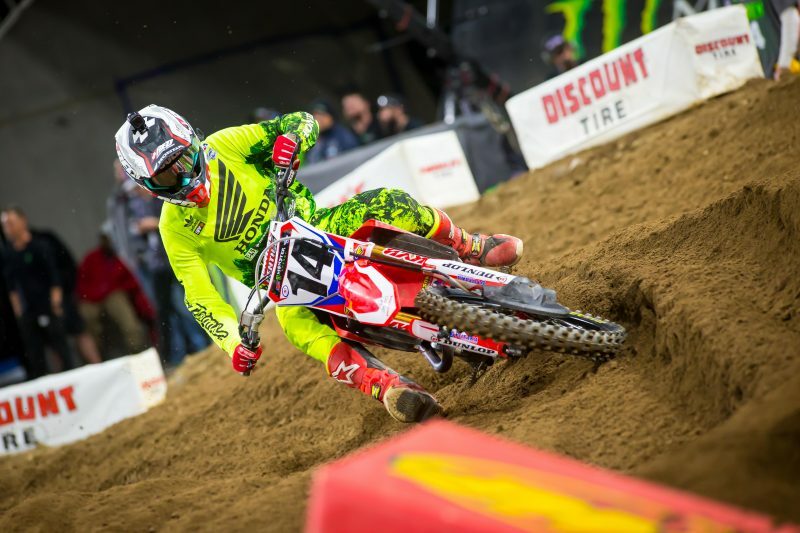 In semi two, Seely scored the holeshot but quickly relinquished two positions in the opening rhythm section. He regained one position by the completion of the six-lap race, crossing the line in second. 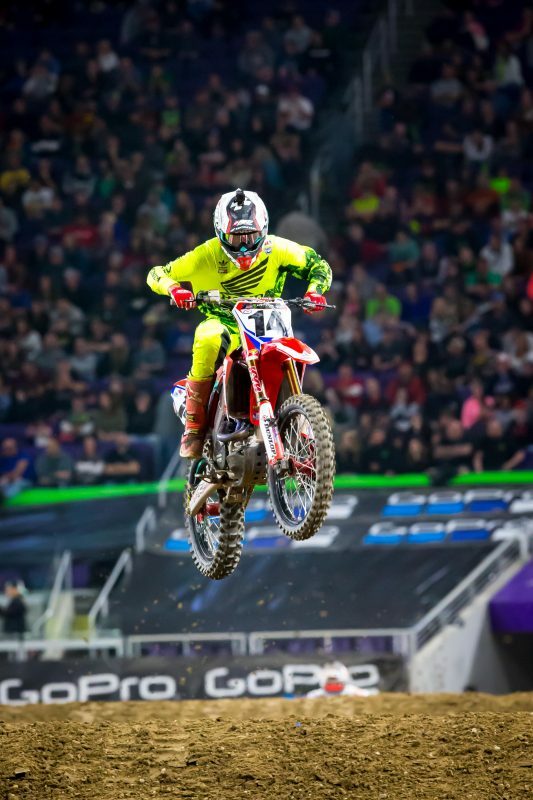 The Minneapolis Supercross marked the kick-off of the 250SX East Coast Championship series and GEICO Honda’s RJ Hampshire came out strong, finishing just shy of the podium in fourth. After an impressive heat race win, teammate Christian Craig crashed early in the main event, ultimately taking the checkered in 12th. This week, the series heads to Atlanta for round 8. On Friday, the Honda Red Riders will make their way to the Georgia Dome from 6 to 7 p.m. to sign autographs and hang out with fans for MotoFest before the Arenacross. The 2017 season marked the renewed partnership between Team Honda HRC and Fox Racing after a five-year hiatus. 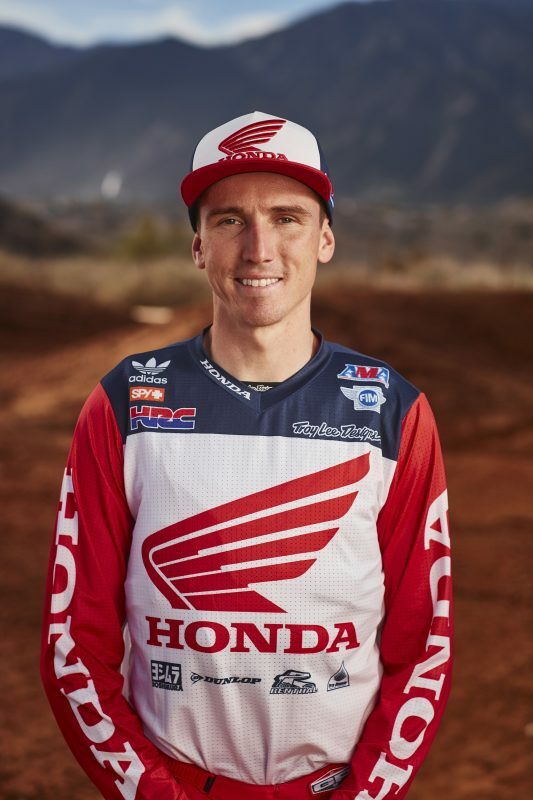 Fox produces the official Team Honda HRC T-shirts, hats, hooded sweatshirts and pit shirts, which are worn by staff and riders. 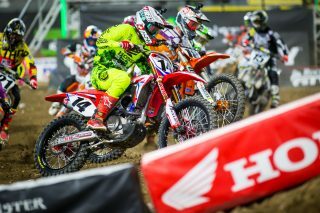 Fox and Honda are also partners with Team HRC in MXGP and Honda Canada/GDR/Fox Racing in the CMRC series. 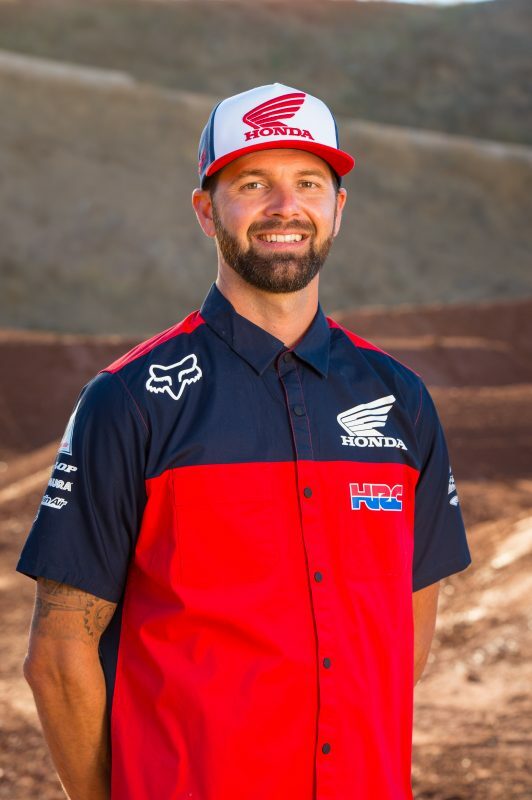 1995 was Honda’s first season with Fox Racing, and riders that the two companies have shared over the years include Steve Lamson, Doug Henry, Jeremy McGrath, Mickael Pichon, Ezra Lusk, Ricky Carmichael, Ivan Tedesco, Tommy Hahn and now Ken Roczen. Today was a little bit of a struggle for me. I had a really hard time finding my groove all day, starting with practice and even throughout the night. I ended up fourth in practice, which is really good considering how I felt. 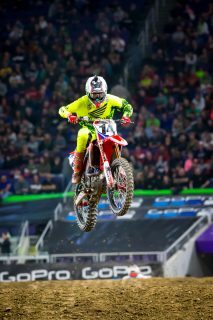 In my heat, I had an incident with Marvin [Musquin] where we got together and went down in the second turn. I got up and just fought my way forward to try and get a better gate pick for the semi. The only positives I can take away from having to go to the semi is just getting a chance to learn the track more and see the way it’s breaking down throughout the night. In the main event, I had 11th gate pick so we assessed it and tried to come up with a game plan back at the truck so I’d know mentally kind of where I’d be. I actually ended up three outside of the box, which is way more outside than I expected to be. 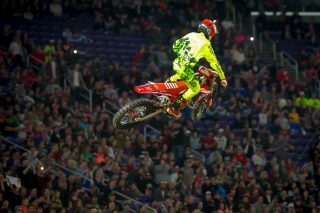 I ended up pulling a holeshot from there so that was huge and I was so stoked, hyping myself up in my helmet. I was glad to turn a rough day around with a good start, but as luck would have it I went down on the first lap. I got up and was about tenth, made some quick passes then worked my way into fifth by about the halfway point. With the way the whole day went, all the hurdles I feel like I had to overcome, and how I felt being so off, coming away with fifth is still a positive for me. I’m going to try and take the positives from this weekend, learn from the negatives and put them in the past. It just seemed to be an off day overall. It seemed like he was really just fighting the track and himself more than anything. If we can take a positive away, it’s that he got pretty good starts in both the semi and main event, as well as managed to work his way up to fifth after going down. He has the speed we just need to work on his aggression throughout the early part of the race.